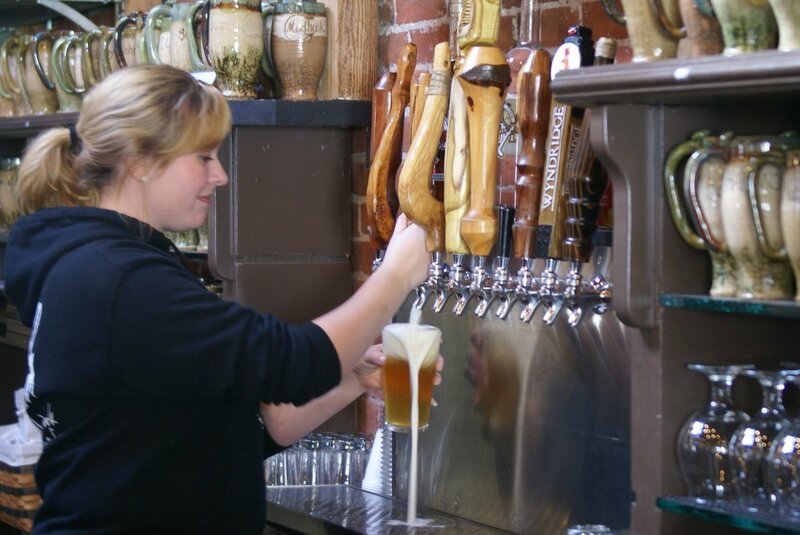 We offer a robust, rotating tap list to quench your thirst year round. Most of our beers stick with traditional flavors and beer varieties done with quality thanks to the touch of brew master Tim Wheeler. Our beers are themed after a "Mudhook", or anchor, and have fish or sea themed names. Come out to the bar and try out our draft list. German style lager brewed with Pilsen and dark Munich malts that lend a full toasted malt flavor. This is a light golden brown brew with a slightly dry finish. A new Mudhook stout brewed with roasted barley and chocolate malt and aged on Oak and Madagascar vanilla beans. The nitrogen creates a thick creamy head and a very smooth mouth feel. We will make a $1 donation in the memory of Firefighter Zachary Anthony of the York City Fire Department. Brewed with dark candi sugar and tart cherries, this deep amber Belgian Strong Ale finishes smooth with a sneaky punch! Unfiltered German wheat ale brewed with classic Hefeweizen yeast and a smooth, crisp, citrus finish leaving your palate craving more of the juicy brew. Light, dry and spicy with notes of pear and a slightly sour finish. Copper, piney and resinous with hints of oak and blackberry. Simcoe, Pacific Gem, Green Bullet hops. Choose any variety of 3 or 6 beers to immerse yourself in our beers brewed right next to the restaurant in Central Market. Growlers and Howlers make for the perfect gift for a beer lover in your life. Either get one as a gift, or get one for yourself, so you can refill it when you run out of your personal craft beer at home. Refills will be cheaper than buying the growler and beer combo. 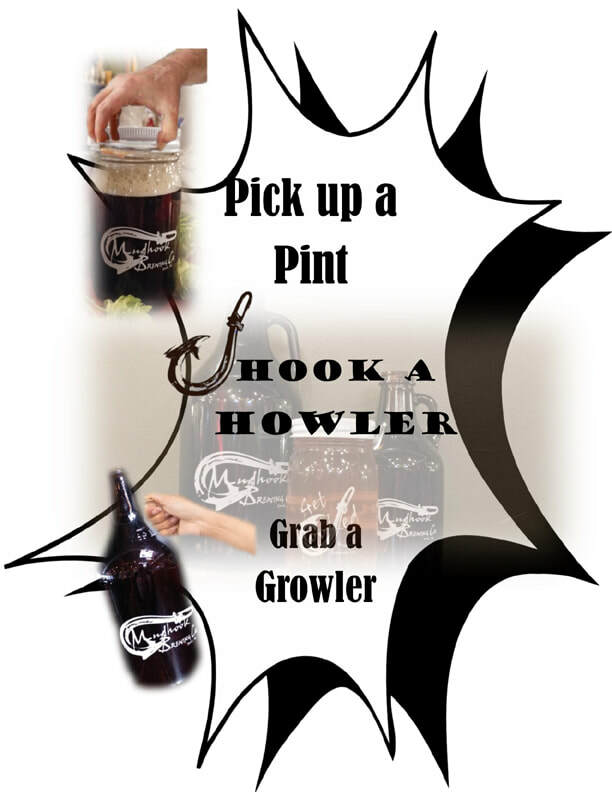 Get your Mudhook Souvenir Growler or Howler today! Grain is milled and then added to the mash tun located inside the back corner of Central Market. Here, the grain is maticulously heated up with water quality controlled for purity and pH balance. 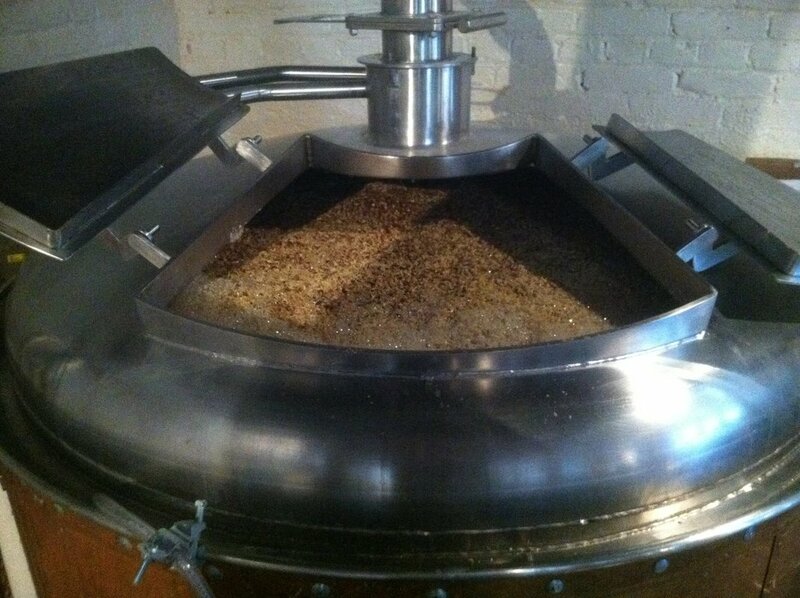 After mash out, the wort is taken to one of the 10 fermenters we have located in the Central Market House. The beer will sit here anywhere from 4 weeks to 6 months where the yeast will begin the fermentation process, creating beer. The glycol insulated lines send the beer through the back of the brew pub where the beer is chilled in kegs after being fermented. The lines are carbonated with Co2 to help the beer reach the tap. The only step left is to pour the beer and enjoy is cold. Cheers!